The trails at Judge C.R. 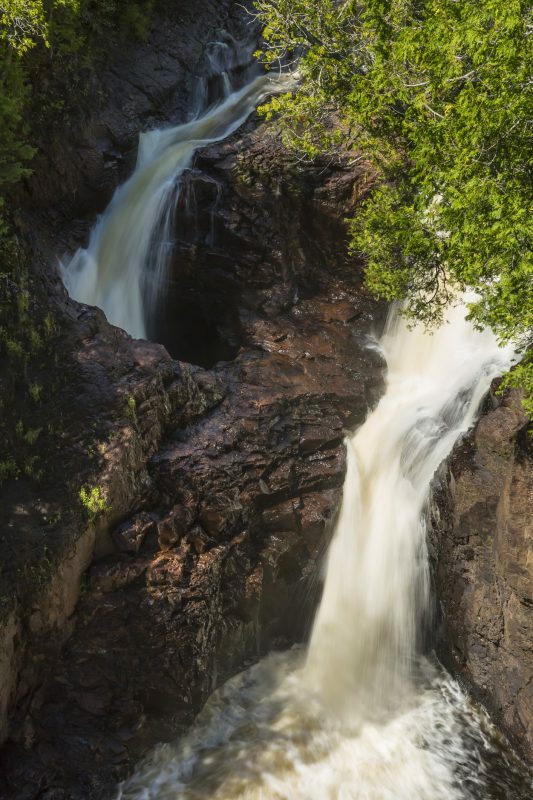 Magney State Park in Minnesota are quite breathtaking, but its main feature is a strange waterfall that locals have dubbed the Devil’s Kettle. 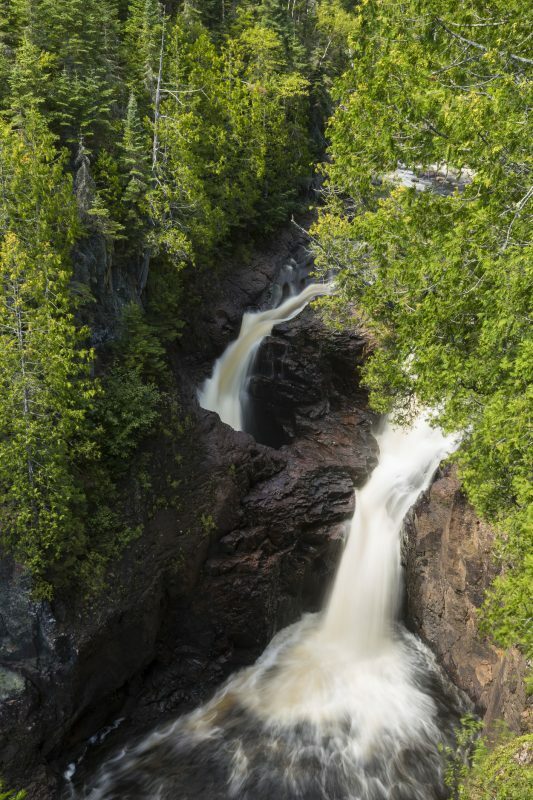 According to Stacie Boschma of Mother Nature Network, the Devil’s Kettle is a waterfall that empties down a sharp drop into a deep hole, and nobody knows where the water ends up. 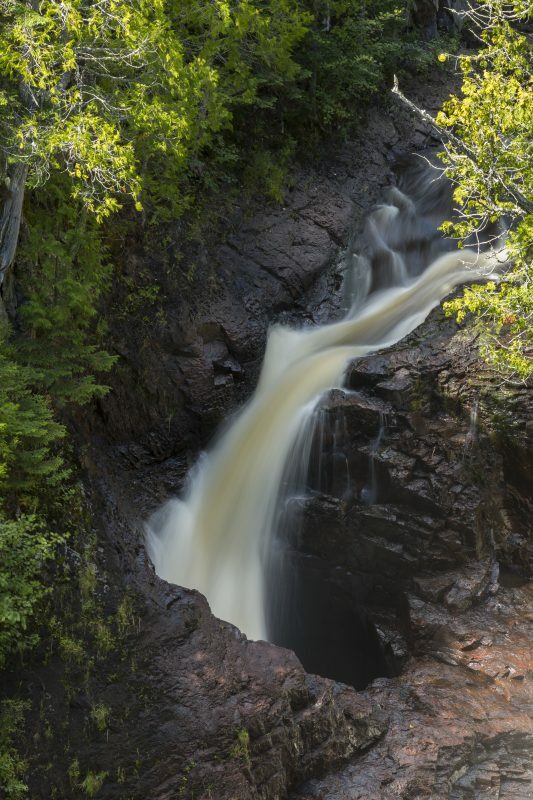 The Brule River, flowing through the state park, drops 800 feet over eight miles, which causes some interesting waterfall features. Around a mile north of Lake Superior there is a thick outcropping of rhyolite rock that splits the river into two, foaming waterfalls. One of the waterfalls continues on as normal, while the other drops into a seemingly endless black hole. The hole most likely formed as a result of water erosion, no one knows where it actually leads. Motherboard reported in July 2018 that visitors to the park have thrown ping-pong balls, road signs, logs, and possibly even a car into the hole to watch where they come out, but nothing has reappeared. While it’s unlikely that a car was really hauled up to the falls and dumped into the dark void, what is certain that locals and visitors alike are stumped by the phenomenon. Local radio station WTIP states that planned attempts to test the water flow using dye tracing in 2017 were shot down by park officials who were concerned with the environmental impact of the tests. Eventually, the scientists decided that a dye tracing test would not be necessary to confirm their findings. The Minnesota Department of Natural Resources had kick-started the the investigation in the fall of 2016, by measuring water volume in the river before and after the waterfall. They found that the flow of water before and after the kettle were nearly identical, which meant that the water going into the kettle was mostly rejoining the river. This discovery is a step forward, since speculation about the kettle’s eventual exit point has led to a wild variety of explanations, such as the presence of an underground channel which flows back out to Lake Superior, or the possibility of lava tubes formed within the rock, which might allow drainage from the kettle. Hydrologists involved in the project say there is a simple explanation why the ping pong balls and other objects were not seen after the falls — they were simply pulverized by the powerful flow of water: “It gets ground up. It’s a pretty powerful churning,” said retired University of Minnesota professor Calvin Alexander. Scientists and amateur explorers alike have spent a good amount of effort trying to solve the mystery of the Devil’s Kettle. Even throwing GPS trackers into it didn’t seem to produce results, although the website makeuseof.com states this is likely due to GPS technology relying on a clear line of sight from the satellite network in order to function properly. Although the investigators weren’t able to perform their dye tracing test to identify exactly where the water rejoins the river, Department of Natural Resources hydrologist Jeff Green notes that it isn’t necessary to confirm their hypothesis. “The readings show no loss of water below the kettle, so it confirms the water is resurging in the stream below it,” Green claimed in an interview with WTIP in the fall of 2017. But despite their assurances, the falls retain their reputation as an unresolved enigma. 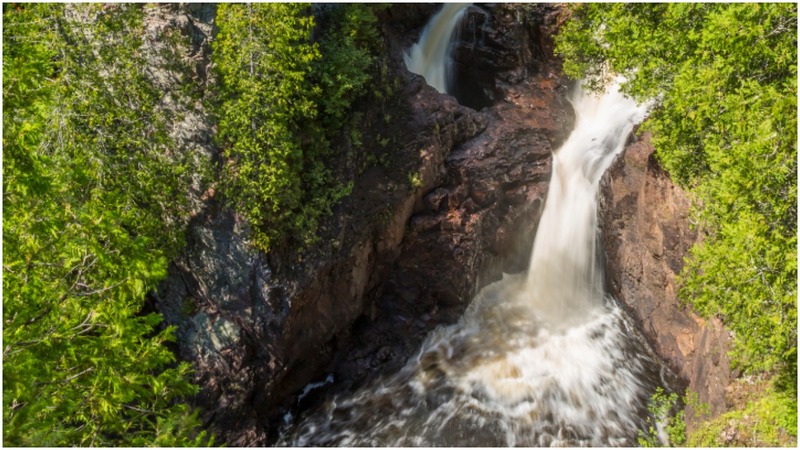 The Brule River also offers whitewater rafting and fishing; however, according to the Minnesota Trails website, the Devil’s Kettle geological feature continues to be the most well known and popular highlight for hikers and tourists.